There were 158 lots in the MacDougall’s auction, described in the catalogue as one of the most complete collections of the 19th century Russian pieces to have been assembled and then offered for sale. 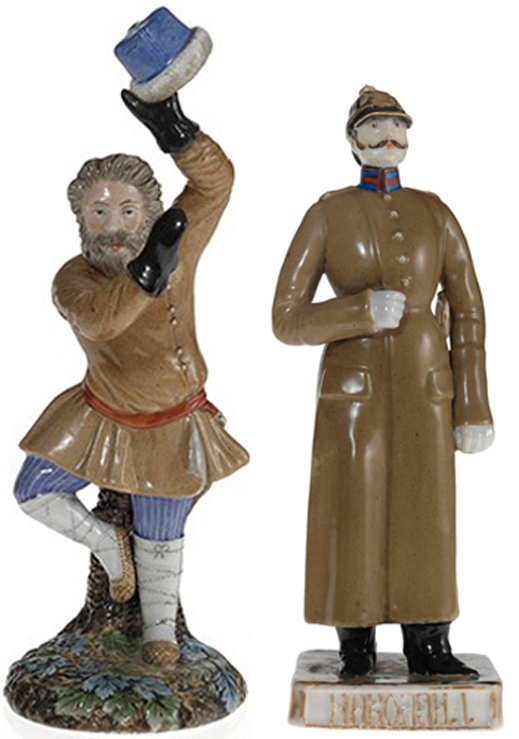 At origin, the porcelain figures were intended as decorations for home interiors, and as souvenirs of leading politicians, celebrities or military heroes of the day. According to house expert and curator, Olga Vaigatcheva, some of the well-known Russian porcelain manufactories also produced caricature designs for sale, ridiculing Napoleon during the War of 1812 and glorifying the Russian generals, soldiers and Cossacks who who defeated him. MacDougalls reports that more than 70% of the lots were sold, for a total of £531,833. For more on the Russian art market this week, click. The Popov figurine sale was the only bright spot in the Ukrainian oligarch’s day after he was forced into a ritual humiliation before President Petro Poroshenko. 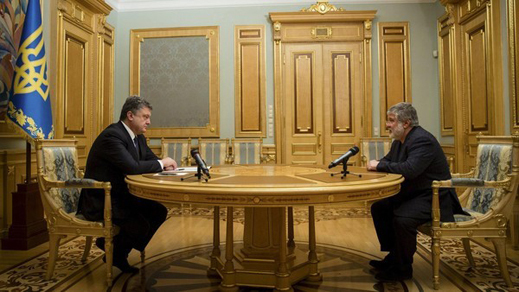 Kolomoisky was obliged to watch, nodding and speechless, as Poroshenko signed the dismissal decree removing him from the governorship of Dniepropetrovsk, in eastern Ukraine. The Financial Times, in an oleaginous tribute to Kolomoisky for “blocking the rebels’ advance” in eastern Ukraine, quoted a spokesman for rival Dniepropetrovsk oligarch, Victor Pinchuk, as saying the dismissal was “a correct, necessary and decisive act.” Pinchuk, whose steel business is on the verge of bankruptcy, is suing Kolomoisky in the London High Court in a dispute over an iron-ore combine in Dniepropetrovsk region. The trial of the claim has been delayed until next year. For the full story, read this.